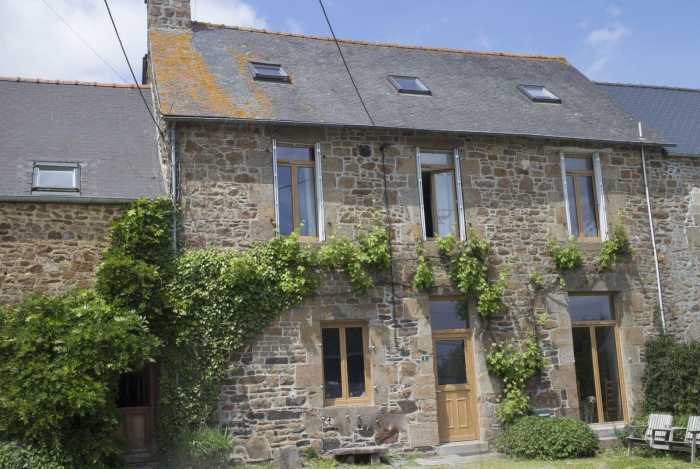 Situated on the Normandy, Brittany border and just 10 mins from the famous landmark Mont St Michel, this is a wonderful opportunity to own a spacious farmhouse with 3 separate gites, all tucked away in tiny hamlet in the countryside. The farmhouse could also be used as Bed and Breakfast if desired. Attached to the main house is large barn, the upstairs is part of gite three and in the ground floor is extra accommodation which the owners use during the busy summer season. A large kitchen with fitted units, woodburner, beams, space for breakfast table. Family Suite includes a large bedroom with lounge area and woodburner, a second double bedroom and a bathroom with bath, hand basin and wc. This large gite can sleep up to 9 people, it is all on the first floor of the barn. The large open plan living area naturally divides in half creating a fitted kitchen with space for dining and a separate lounge area. There are character beams, a woodburner and tiled floors. In the ground floor of the barn is a large utilty room that can be used by the guests. Tucked away is another small living space comprising of a lounge and bedroom with en-suite shower room. There is futher space to convert that is currently used for storage. Gardens, two small enclosed paddocks ideal for chickens. An old boulangerie, Parking.